If you asked the average music fan to list their favorite producers, they might be familiar with some of the huge names—Rick Rubin, Timbaland, or Pharrell, for example. But most music producers fly under the radar, and most casual listeners would be hard-pressed to even name a female producer. So let's start with the 13 that The Fader recently spoke to about the dearth of female producers in the music industry. In any field that's so heavily dominated by powerful men, it's extremely difficult for women to gain respect or be welcomed, and in the music industry the sheer intimidation of how women are treated probably keeps many aspiring female producers from moving up the ladder and garnering proper attention. San Francisco-based producer Holly Herndon makes an interesting point about the general redundancy of the music industry and how unwilling it is to deviate from the long-established standards it has for women—thereby pigeonholing the entire notion of what a producer is and is not. It's quite transparent how little the music industry formula, or major motion picture formula, has changed since the advent of the internet. It's like they are in permanent austerity mode, and so play it safe. Every year we get a diva, a dancer, a bad boy, a crooner, a girl next door, a fashion queen, a dainty songstress; all younger updates on a previous model. No room for new archetypes. The most powerful thing about hip-hop is that it has a history of setting it's own agenda and taking risks, but sadly is often also burdened with crippling gender issues. Our biggest barrier is our infatuation with these old archetypes, and a lack of insistence on establishing new ones that reflect a culture we would like to live in. That extends far beyond gender issues. We have to create new fantasies. [...] the resulting message is that the female producer is an aesthetically presented vocalist who only produces her own songs. This sets up three additional hurdles to an already challenging field, because vocal chops, aesthetic presentation, and songwriting are three separate and time-consuming skills that should in no way be prerequisite. The archetype of Male Producer (take Rick Rubin, or Phil Spector for example) is not a man who necessarily composes, sings, or looks good on camera. Trying to change any sort of systematic issue is, of course, going to be an uphill battle. Some of the producers The Fader spoke with suggested practical solutions to the problem, like getting more girls involved in production workshops and beat battle competitions. Others proved that the best solution is often the simplest, suggesting that artists just need to start hiring more female producers, no excuses. Polachek mentioned Jay Z working with 16-year-old Ebony "WondaGurl" Oshunrinde on his last album and hopes that other rappers will follow his lead. 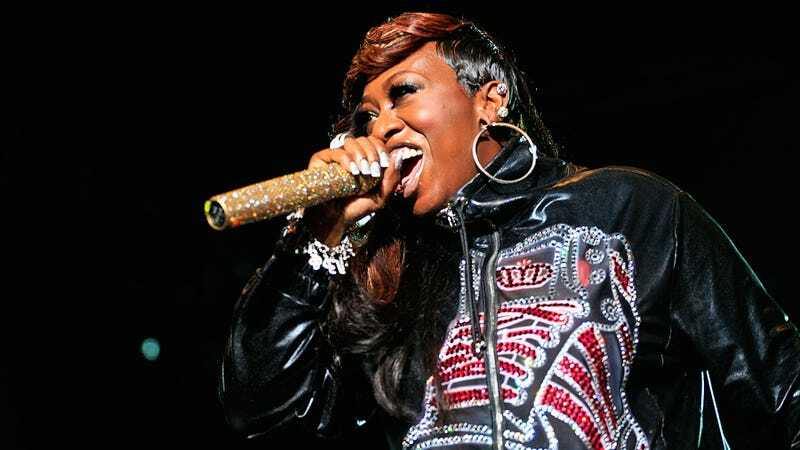 Missy Elliott, arguably the most successful female producer ever, is mentioned frequently throughout the piece. She's referenced as the standard for female producers and someone that, for all her success, still isn't recognized as the pioneer that she is. Many of the producers see this as part of the problem—even when female producers are incredibly successful, they still don't get the shine that they deserve. As London producer Leila Arab says, oh so succinctly: "Recognize Missy."